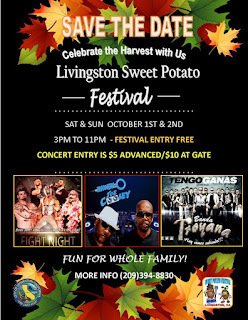 If you like all things sweet potato, then mark your calendar for the upcoming 5th Annual Sweet Potato in Livingston, Calif. The event will host a huge carnival, live entertainment, KIDSZONE, food vendors, business booths, lots of sweet potato dishes, contests, sweet potato education and a farmers market. This year's festival will be held on Saturday, October 1 and and Sunday, October 2. Admission to the festival is free and parking is $5. 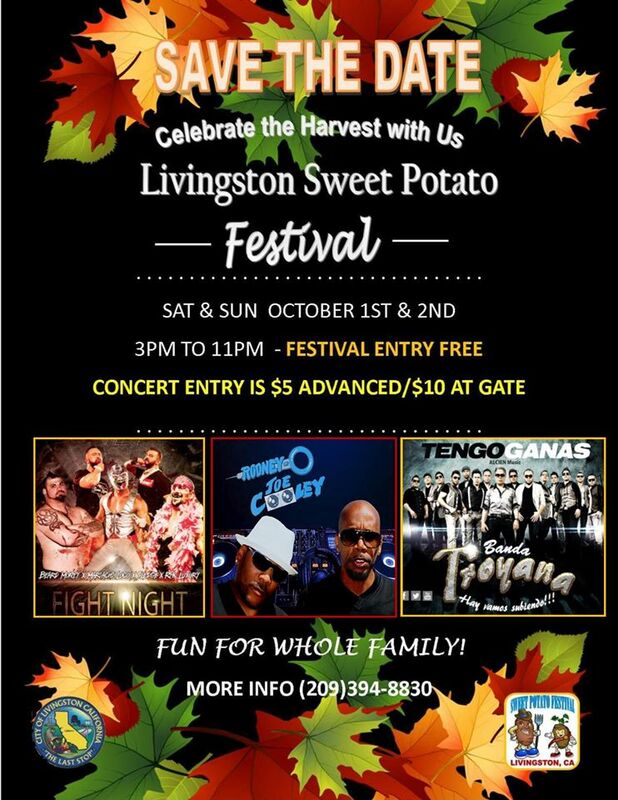 Check out the Sweet Potato Festival information here for the schedule of events and more. Half Price Carnival Tickets now on sale at Livingston City Hall. Contact the Recreation Department at (209)394-8830 for more information.